Yesterday we watched as thousands of students across the nation banded together in solidarity one month after the Parkland, Florida school shooting that left 17 dead. As part of National Walkout Day, they flooded the streets with messages for elected officials: enough is enough. Something needs to change. These young organizers are following in the footsteps of history and a rich precedent of student activism that has changed the course of our societies around the world. It’s critical that we tap into students’ passion for leadership; if ever there was a teachable moment for kids and the adults who care about them, the tragedy of mass shootings is it. What we’ve seen since Parkland is an important movement of student activism and agency. And we, as adults, need to pay attention. The level of organization, mobilization, and preparation that went into making yesterday’s walkout happen should be inspiring to all of us. We should be taking notes on this lesson in civic engagement. As so often as it happens, the students have become the teachers. We’re proud to say that many Facing History students were involved in yesterday’s walkout, exercising their right to use their voice and to be active and engaged citizens that make a difference in their world. 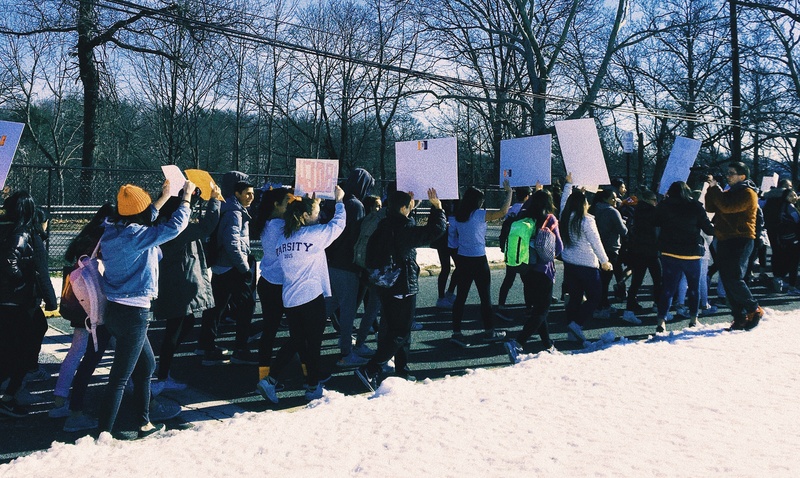 We’ve pulled together a few reflections and insights from our students, teachers, and staff members who witnessed the walkout’s incredible energy along with some inspiring images from the day. As this movement continues, help your students consider the rich history of student activism using our lesson, "Youth Taking Charge! Placing Student Activism in Historical Context." It can help them understand how young people like them have turned to activism in the past as they determine their own role in today’s movement.